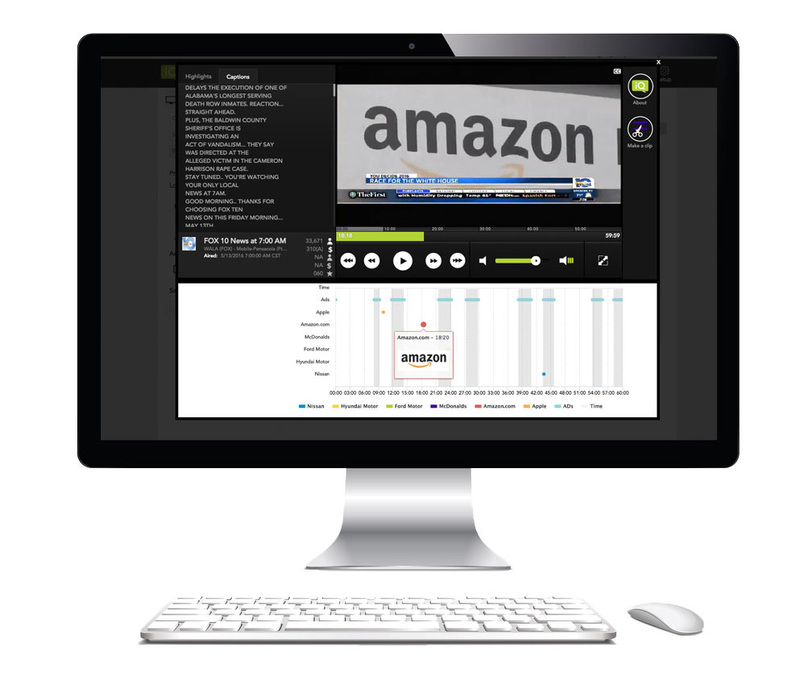 Search live and historical TV programming for every spoken mention or logo appearance of your brand—and your competitors—in both paid and earned media. Our logo recognition technology accurately identifies when and where your logo appears as the human eye would see it, and when the brand is mentioned through closed caption detection. 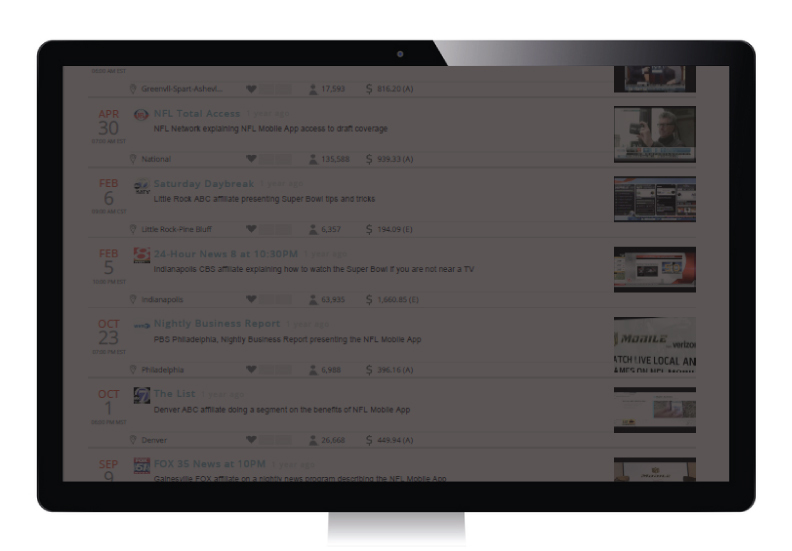 Then, it definitively pinpoints earned vs. paid mentions. In all 210 designated market areas (DMAs), Brand iQ™ reports earned and paid media mentions, and provides station and TV show-level insights. Data is available within one hour of the TV occurrence and never purged. Access six years of historical TV programming to help in media planning and analysis. In-the-moment visibility, ad-hoc search and custom industry cohorts uncover how your competitors’ strategies are performing before they do, and where their efforts are focused. optimize media and sponsorship buys, and prove the value of PR. Get unprecedented understanding of your paid and earned TV exposure, how that exposure influences audience behaviors, and which segments and demographics you’re reaching and resonating with. Decrease waste around local and national sponsorship investments by uncovering which activations audiences react to and optimize your efforts accordingly. Shape favorable brand conversations with your target audience, show the impact PR has on your organization’s bottom line, and connect with relevant media contacts. 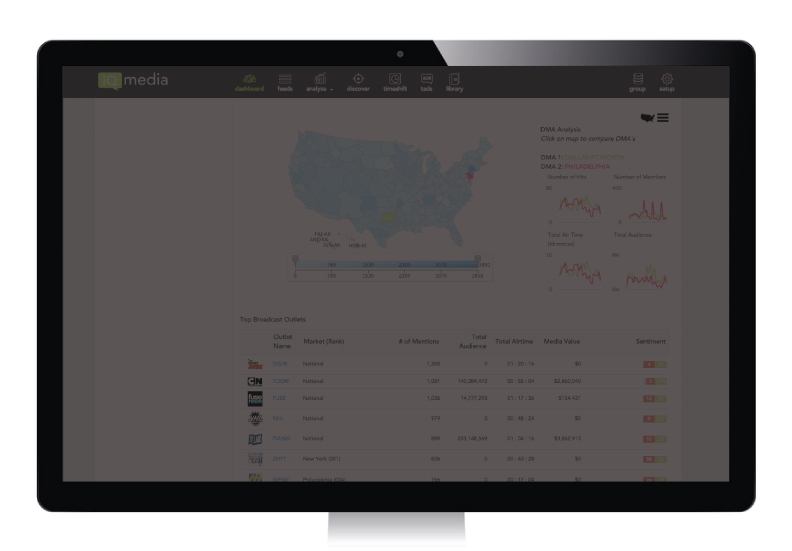 iQ Media sends rich data to your doorstep in real-time.